Hailed by Opera News for her “lovely clarity and golden color,” mezzo-soprano Krista River is a versatile performer who is at home in repertoire ranging from the Baroque period to the 21st century. She was a winner of the 2004 Concert Artists Guild International Competition and a 2007 grant recipient from the Sullivan Foundation. Recent notable performances include the International Water and Life Festival in Qinghai, China, and recitals at Jordan Hall in Boston and the Asociación Nacional de Conciertos in Panama City, Panama. The New York Times praised her debut recital at Weill Recital Hall at Carnegie Hall, lauding “her shimmering voice...with the virtuosity of a violinist and the expressivity of an actress." Recent opera appearances include the title role in Carmen at Mechanics Hall in Worcester, Sesto in La clemenza di Tito with Emmanuel Music, Mrs. Fox in Tobias Picker’s Fantastic Mr. Fox with Boston Modern Orchestra Project, Dido in Purcell’s Dido and Aeneas with Mercury Baroque (Houston) and the Connecticut Early Music Festival, Cherubino in Mozart’s Le nozze di Figaro with the North Carolina Symphony, Annio in La clemenza di Tito with Opera Boston, Narcissus in Boston Baroque’s Agrippina, Rosina in Il barbiere di Siviglia at the Crested Butte Music Festival, and the title role in Handel’s Xerxes with Arcadia Players. Ms. River made her Tanglewood debut in the role of Jordan Baker in John Harbison’s The Great Gatsby. Ms. River’s orchestral engagements have included appearances with the Boston Symphony Orchestra, the Saint Paul Chamber Orchestra, Handel & Haydn Society, Kansas City Chamber Orchestra, Harrisburg Symphony, York Symphony, Charlotte Symphony, Florida Orchestra, Pittsburgh Bach and Baroque Ensemble, the Cape Cod Symphony, and the Boston Modern Orchestra Project. She has performed as a guest artist at music festivals including John Harbison’s Token Creek Chamber Music Festival, Monadnock Music, Music from Salem, Saco River Festival, Meeting House Music Festival on Cape Cod, and the Portland Chamber Music Festival in Maine. A contemporary music advocate, Ms. River has premiered works by numerous composers including Tom Cipullo, Howard Frazin, Thomas Schnauber and Herschel Garfein. She created the role of Genevieve in Brian Hulse’s chamber opera The Game at the Kennedy Center, as part of its Millennium Stage series. She sang the world premiere of Scott Wheeler’s Turning Back at her 2008 solo recital at Weill Recital Hall, and is featured on two of Wheeler’s CDs — The Construction of Boston, recorded live with Boston Cecilia, and Wasting the Night: Songs — both released on Naxos Records. Ms. River began her musical career as a cellist, earning her music degree at St. Olaf College. 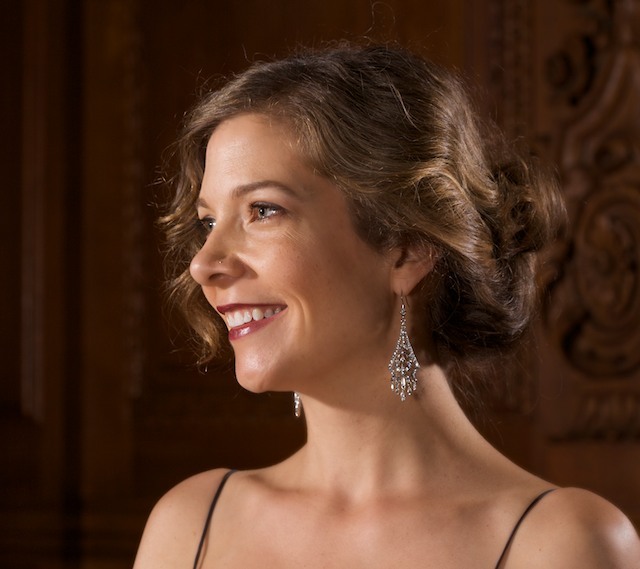 She resides in Boston and is a regular soloist with Emmanuel Music’s renowned Bach Cantata Series.